A round-up of original, fun and drop-dead gorgeous balloon decoration ideas that will sweep you off your feet. 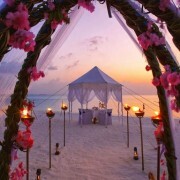 Incorporate them at the wedding aisle, reception tables and decor. Craft your very own with these lit and affordable DIYs! Let’s get started! 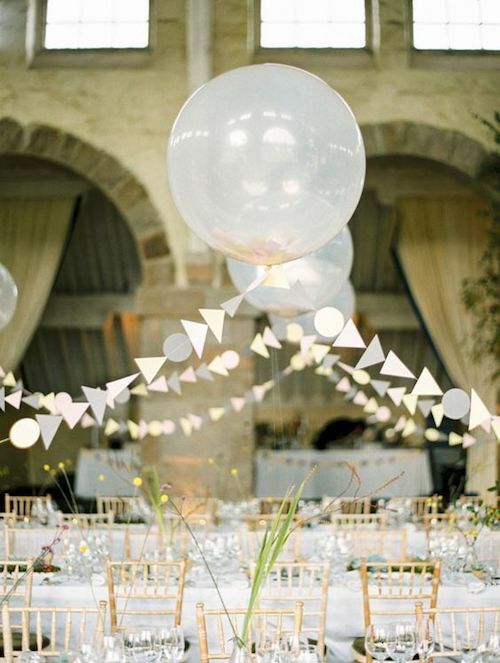 Check out these insta-worthy balloon decoration ideas for your wedding! Balloons are kinda magical, aren’t they? Maybe because they bring back happy childhood memories but after checking out these breathtaking and unique balloon decoration ideas, you will agree, they are not just for kid parties anymore. 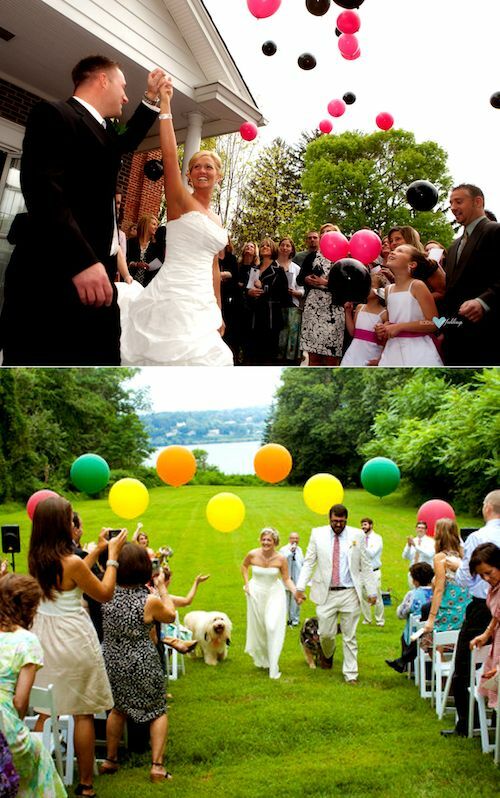 From balloon themed weddings to the magical balloon release, balloon wedding decor is affordable and very easy to DIY. 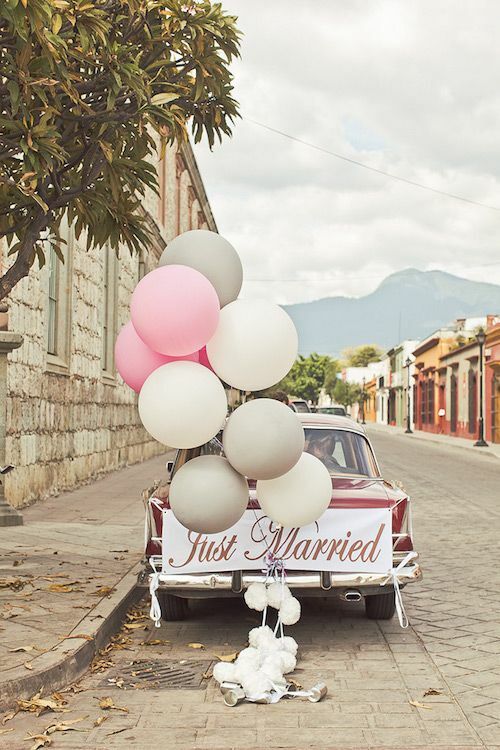 Personalize your wedding and impress your guests with these fab balloon decoration ideas! Simple and delicate, this idea will glam up any event. 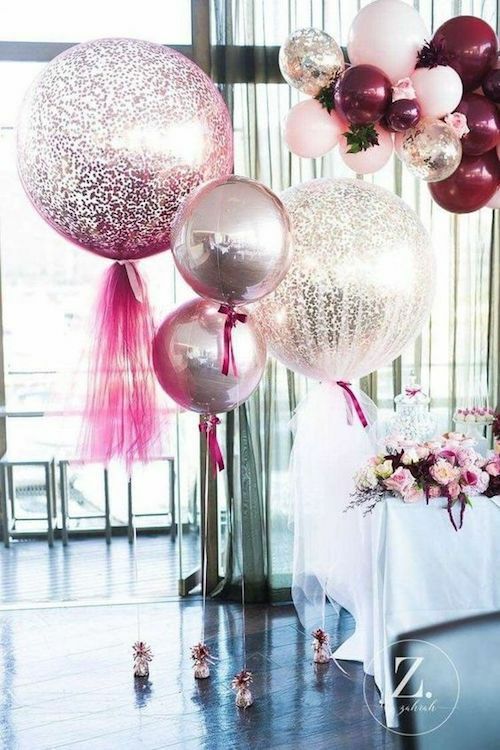 Get a hold of 6 to 8 giant clear balloons and top them up with shimmery pieces of confetti. Fill them up with helium and tie their tails with small weights. Tip: for the weights, paint some rocks with silver or gold spray paint. Original balloon decoration ideas on a budget for the most amazing corner ever. Related: Wedding Photo Booth Ideas that will Make you Go: Oh, Snap! Kill three birds with one stone with these Pinterest-worthy and ultra affordable balloon decoration ideas. 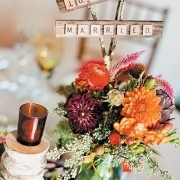 Decor, centerpiece and table number in one simple and easy project that will win the heart of all DIY-brides. Have the ribbon go through the table number card and tie it to the centerpiece. 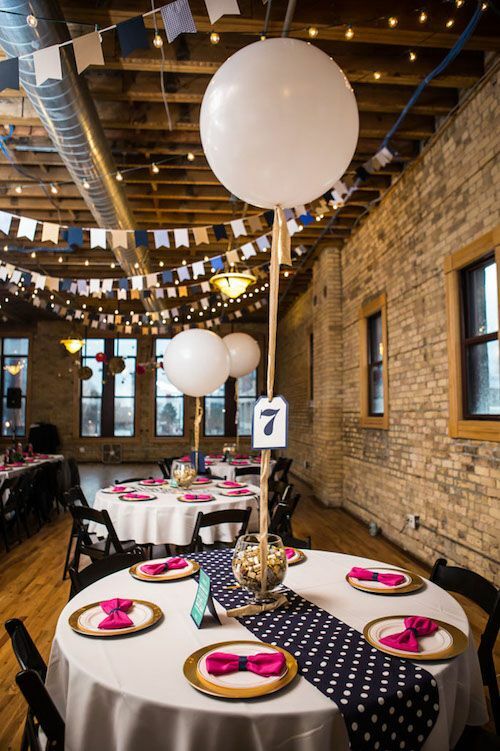 Centerpiece table number and centerpiece balloon decor idea. Photography: Juxtaphotos. 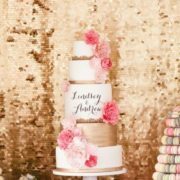 Related: How to Make a Wedding Backdrop: Step by Step Tutorials! 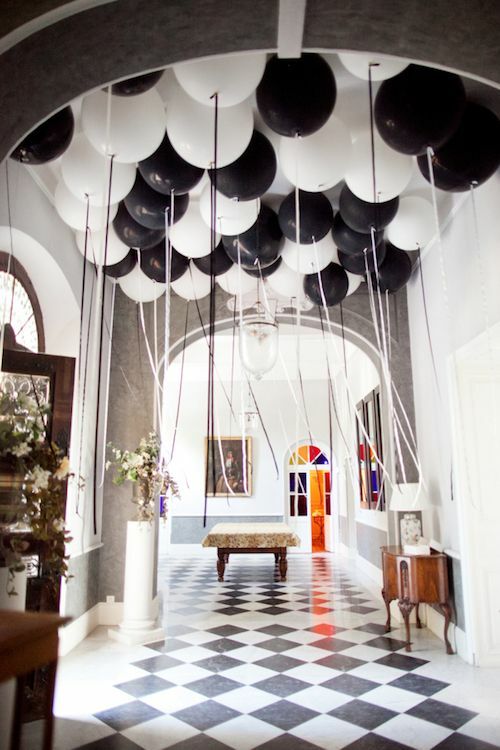 We know you will want to incorporate these cringe-worthy balloon decoration ideas. 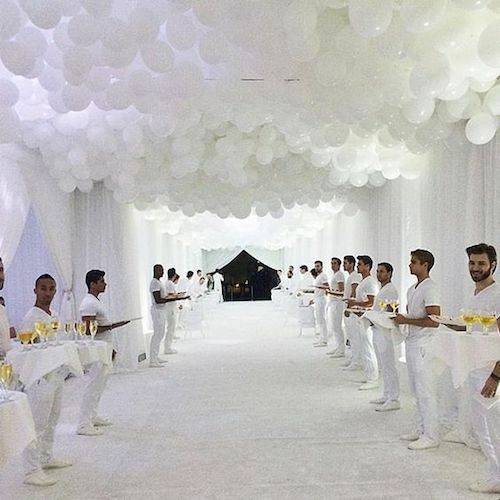 Fill up the ceiling with balloons to achieve this impressive effect for under $50. 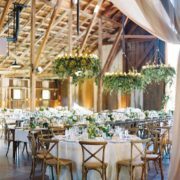 TD wedding balloon decor ideas. Remember prom? 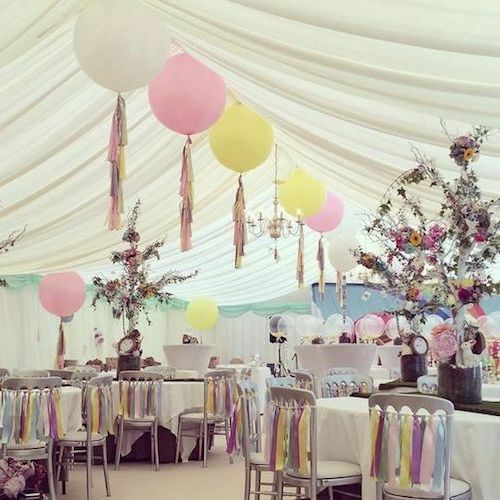 Why not copy some of these balloon decoration ideas for your wedding? An intimate and festive aesthetic with matching fringes hanging from the balloons and the back of the chairs. All you need to do is tie colorful ribbon or paper fringes to the giant ballon tails. As above, so below. 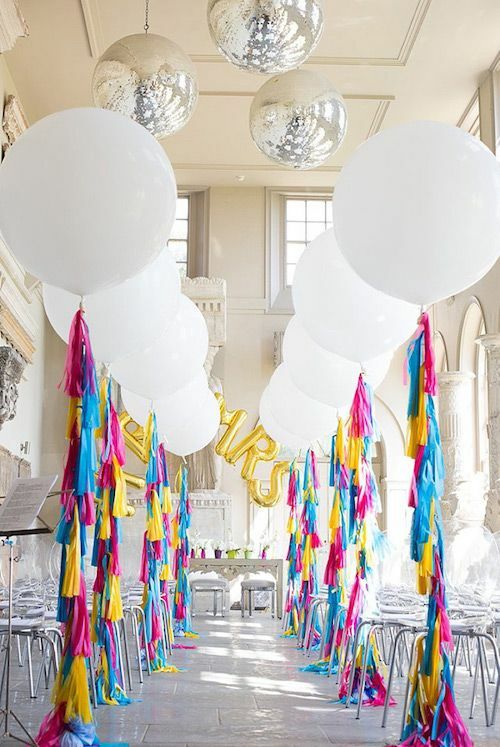 Colorful fringes hanging from the balloons that match the back of the chairs for a festive aesthetic. Word of warning, do not spend on expensive helium for tulle balloons as they become too heavy and do not float. They need to be suspended from the ceiling with clear plastic thread but don’t worry, it’s not that hard. Blow up the balloon and cover it with the tulle so the four tips line up at the bottom. Tie it with an elastic band and cover it with a nice ribbon. Finally, use the clear plastic thread to hang the balloon but threading it trough the top of the balloon tulle – be careful not to pop the balloon! Mylar and giant silver balloons with tulle and glitter with a fancy vibe. 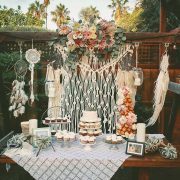 Create the tassels of your liking with party fringe garlands, the lighter, the better and tie them to the neck of the balloon. For a more classic look, go with all white tassels. Lit wedding aisle decor with balloons and fringed tails. Courtesy: Faye Cornhill Photography. Connect the balloons with decorative tails and wow your guests. Connect the balloons with decorative tails and wow your guests. Photo courtesy: Ann-Kathrin Koch. Related: Wedding DIYs and Crafts So Easy to Make! Balloon releases are incredibly beautiful but make sure you care about the environment with biodegradable materials and tails. Another great idea is to organize a ballon send off without the release, it will look just as lovely on the wedding photos. Word of caution: Some states that have laws that prohibit balloon releases. So far, these are California, Connecticut, Florida, Tennessee and Virginia. Nothing more magical than a balloon release! Finally, never, ever forget to add a few balloons to the send off car! Add a few balloons to the send off car. 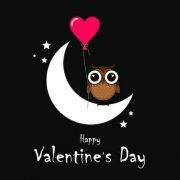 Photo courtesy: Orange Turtle Photography. Remember to have some extra balloons handy, just in case. 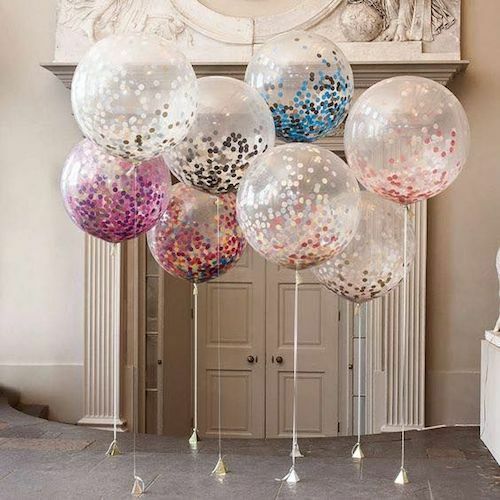 These balloons decoration ideas can have lots of them or just a few for an original touch. They can be giant or small, all in the same color or multicolored, but always magnificent! Photo Credits: indulgy, instagram, brides, mon cheri bridals, kaylasfivethings, ohbestdayever, southboundbride, nonagaya. So many ideas at one place. There is so many creative things you can do with balloons and I think 37 ideas are more than enough to choose from. Bodas en Terrazas de Ensueño: Desde las Intimas a las Extravagantes Bodas en Amarillo Gen Z ¡Le Decimos Adiós al Rosa Milenial!